If you are looking for tractor enamel or tractor paint then you are sure to find what you need below. Promain supply only the very best tractor enamel available on the market to ensure that your tractor is protected against corrosion and provides a durable surface to your tractor. Our range of tractor paint products come in a range of historic colours to ensure you get the exact match for your tractor to make sure that you get the perfect desired finish. Promain make sure that we provide only the very best tractor paints available on the market that have been sourced from the very best manufacturers in the industry who we know are trustworthy enough to provide high performance products every time. A high gloss coach enamel available in historic colours. A single pack primer that provides excellent protection on bare steel, black steel, light industrial equipment. Excellent adhesion and a matt finish ideal for protecting ferrous steel and in particular agricultural and plant equipment. Our range of tractor enamel paints are perfect for providing a heat and oil resistant coating that provides a high gloss finish and is fast drying, you really couldn’t ask for better products at such great prices. Our range of tractor enamel is perfect to providing a durable and protected surface for the metal underneath to ensure that your tractor remains healthy and protected for a long time to come. At Promain we make sure that we only ever source our products from manufacturers that we know we can trust to ensure complete customer satisfaction each and every time. At Promain we would only ever sell products that we would be happy using ourselves and that is why we are sure that all of the products that we have available are of the highest quality as we have made sure that they are a high performance product that does exactly what it says on the tin. 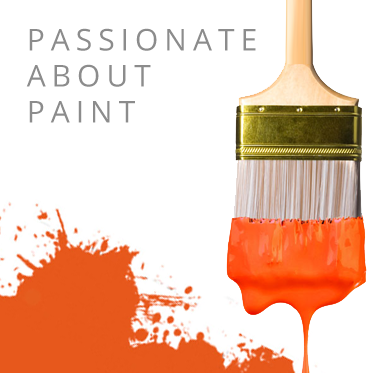 If you have any questions about the tractor enamel paints that we have available then please don’t hesitate to call one of the members of our Technical team at Promain they would be more than happy to give you any advice that you require.